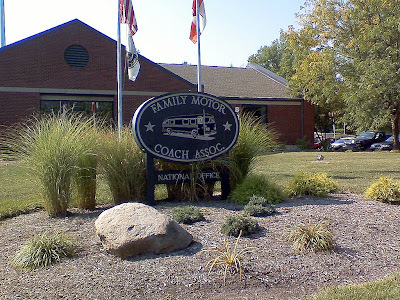 We had such a nice time visiting at FMCA national offices offices yesterday. I always am impressed with an organization when the staff has such longevity. I think the 'newest' employee we met had been working there for 13 years! Most were 20+ years. 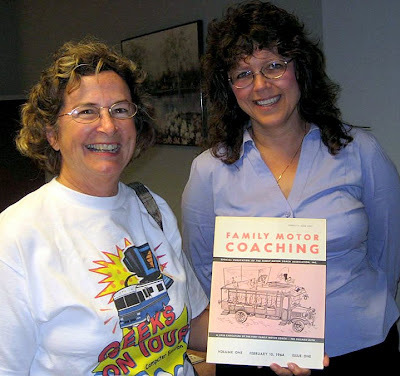 Here I am with Robbin, Editor of the FMC magazine. The magazine I'm holding is the very first FMC magazine from February 1964.